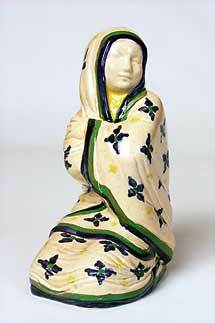 Ashtead Eastern Lady - 5½" (139 mm) high. 1930. This was modelled by Phoebe Stabler and produced in 1930. There is one like it in the Victoria and Albert museum.